Run With No Regrets – Page 155 – Running and living healthy with a positive attitude! I had a pretty decent workout today. I’m fortunate that my job has a gym onsite, and for $20 a year I have access to cardio equipment, weight machines, and Judge Judy on TV. So today after work, I did two sets of 15 burpees with push ups (so surprised I could do them! ), some lunges while carrying a medicine ball, ran 2.85 miles on the treadmill, stretched, light ab work with the medicine ball again, and ended with some clams for hip strengthening. I had never used the medicine ball before, but found a site that had tons of great exercises. I will definitely add these to the mix when I’m at the gym! Post-workout, I’m feeling pretty good, but my feet are sore. I wore my new Asics, which I’ve already discussed at length…but I’m still pretty sensitive to heavy impact since the stress fracture. A good massage and maybe a little ice should do the trick! Become less dependent on eating out…i.e. cook for myself! Learn how to eat and get lean during race training. Find a plan or philosophy that will keep me committed to eating healthy! I spent a ton of time today trying to figure out which dietitian to use and I’m at a standstill. Do I want the older woman with holistic health emphasis, or a younger woman who works with athletes? Who would I relate to better, who would best fit my needs? Anyone have insights on ways to achieve better nutrition? I’m already a member of myfitnesspal but I always fall off from logging my meals. I’d love to add more friends, just add a comment! Am I over thinking who to choose for counseling? Let me know what you think! 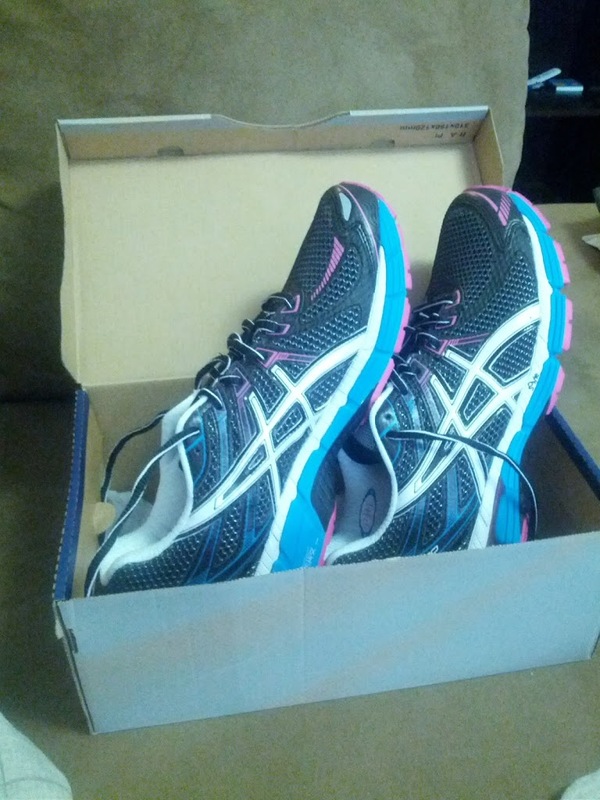 On Saturday morning I had my debut run in the Asics GT-2000’s that I just purchased on Thursday. Honestly, I have to say I was nervous about trying out this new pair on the road. The last time I was recommended and purchased Asics, I ended up with bloody toes! Needless to say, I got rid of those “with a quickness”…but in all seriousness, what if they don’t work and I wasted another 100 bucks? The first goof was that I woke up on Saturday 20 minutes AFTER I normally start running with my Running Club…oy! I hate waking up late on the weekends, even though I also hate waking up early on the weekends. But despite that, I put on the shoes and headed out the door for a solo run, which I actually haven’t done in a long time. 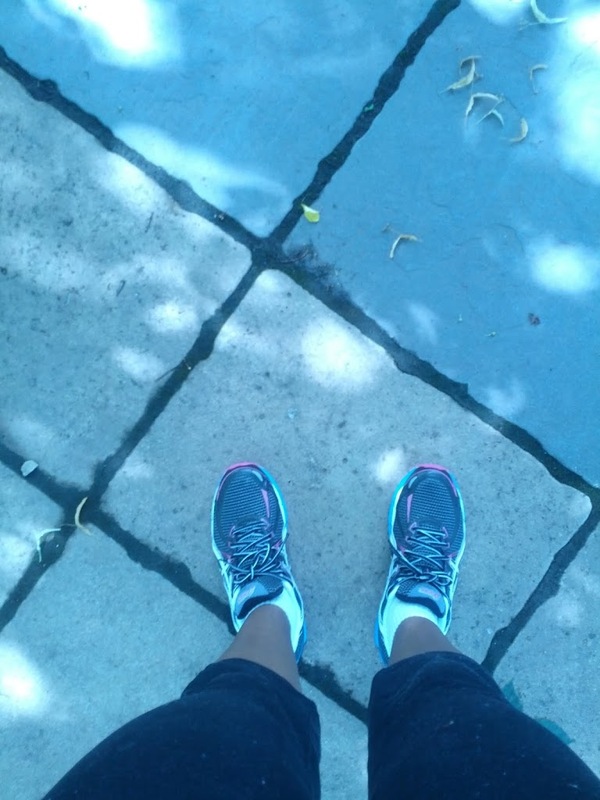 I did a decent warm up of lunges and light jogging. The weather was still super humid but not as much of a scorcher as it has been lately…so I’d say it was a cool upper 70’s and the weather was overcast. The second goof was the lack of music! I always seem to be forgetting something, but the good thing was that I could enjoy the scenery around me, especially since I switched it up from my usual Saturday runs. The run itself went pretty well! I don’t know if it was the weather or the excitement, but I started out with a good pace. My feet felt good in the Asics and I wasn’t over thinking the way my foot lands as much as usual. I overpronate, so these shoes are supposed to help reverse that. I’m not a pro so I can’t really explain the mechanics of the shoe, but they are lightweight and I wasn’t pounding the pavement as much as I notoriously do, so I think these are going to work just fine! I ended up running and walking a total of 4 miles. I spent plenty of time cooling down and I’m happy to say my body isn’t hurting a day later like it did last Saturday…here’s a picture of me to prove I did it! How have you all enjoyed running out in this awful heat? I do believe that the humidity makes you stronger, even if your pace “suffers”. Do you use a running app or are you more into those fancy Garmin and Nike watches? Or, do you just run what you feel? Let me know and thanks for reading!The official tally was 4.01 miles in 49:11. I use Runkeeper to track my runs and it’s great to see all my stats over the years. I’m trying to add a widget for Runkeeper to show my running stats on the Blog, but the Coding Gods aren’t working with me…hopefully I’ll figure that out soon.